Treated with paint block to keep paint out and give sharp lines. 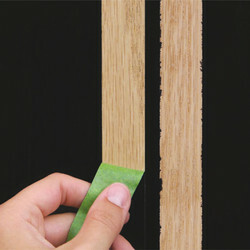 Medium adhesion masking tape, for use on cured painted walls, wood trim, glass and metal. Supplied in a tub to protect against damage. 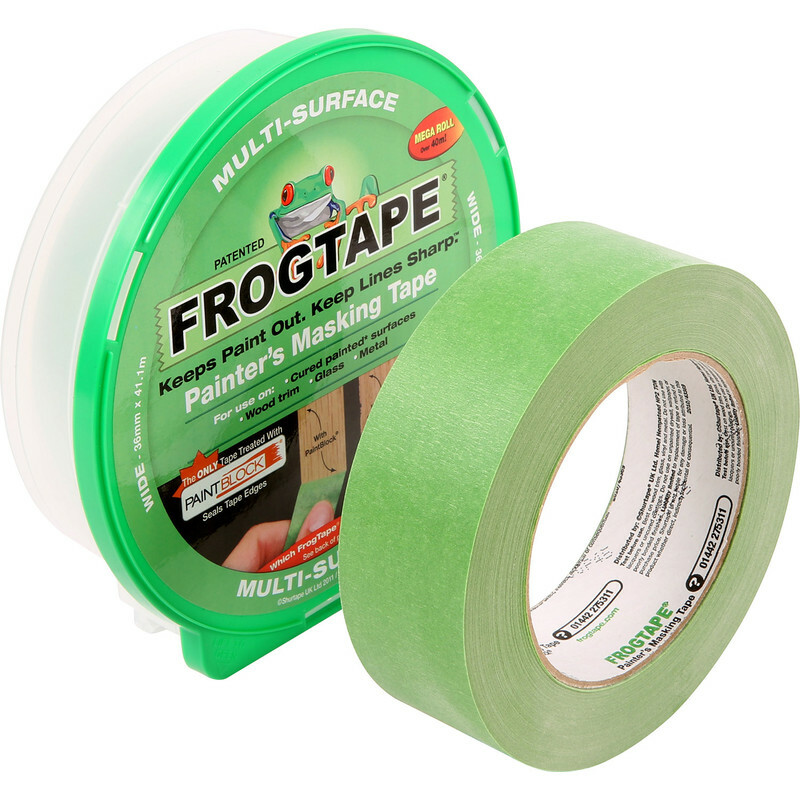 Frogtape Multi Surface Masking Tape 36mm x 41.1m is rated 4.2 out of 5 by 5. Rated 5 out of 5 by Yeohoho from Good tape, does not remove paint This tape is better than ordinary masking tape as it does not remove paint when you take it off at the end of the job. Rated 1 out of 5 by GK13 from Rubbish I paid extra because of a difficult edging job and didn’t want to ‘spoil the ship’ etc. It was hopeless despite following instructions to the letter. Rated 5 out of 5 by besty 26 from very very good the best tape i have ever used for painting no over spill. no ridges on paint work.